Hello, Thank god i found this site. I have a 4 year old with bad hips and it is killing me to see her like this. I read everything to help her and what to give her on your site. The vets have only caused me more problems and a bigger hole in my pockect. Thanks for having this site. Any more tips for helping me help my dog will be great. Thanks. 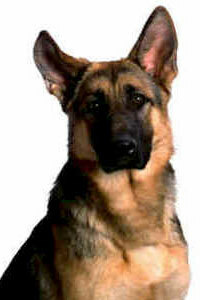 So sorry to hear about your German Shepherds hip issues. I am glad you were able to use some of the tips you've found on this site - that's exactly why I do this - to help people be able to help their own GSDs. At any rate, if you can keep her weight down that is also quite helpful - if she's overweight try to get some weight off her the best way you can and if you have a chance put her on glucosamine and that will help too. Worse comes to worse, there are always dog wheelchairs that are an option too, if she needs it. Good luck with your baby.